– An esteemed group of Optometrists recognized for their academic achievements. Dennis Lowman has worked as an Optometrist in Yucca Valley for 27 years. He is a member of both the California and American Optometric Associations. Raised in central Iowa he graduated from Iowa State University in Zoology. After arriving in California he obtained his Optometry degree from Southern California College of Optometry. He enjoys gardening, landscaping, hiking, sports & fitness training. 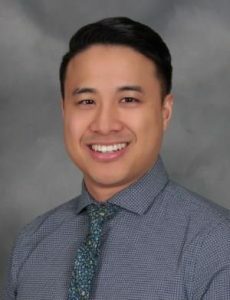 Dr. Trevor Dao was born and raised in Calgary, Alberta, Canada where he received his Bachelor’s degree in Finance with a minor in Biological Sciences from the University of Calgary. He completed his Doctorate of Optometry (O.D.) degree from the Illinois College of Optometry where he graduated on the Academic and Clinical Dean’s List. During his clinical training, he practised in a wide variety of clinical settings including the respected Chicago Lighthouse for the visually impaired where he focused his training in low vision services. He also completed his training speciality contact lenses, ocular pathology, pediatric and binocular vision. In his Clarionre time, Dr. Dao enjoys spending time outdoors hiking, snowboarding, and going to the beach. He is also a passionate ‘foodie’ who likes to cook and find new restaurants to try. He is a member of the California Optometric Association and the American Optometric Association. Dr. Dao is is excited to be providing comprehensive vision and health examinations to the Yucca Valley and its surrounding communities while also building a strong rapport with his patients.